"Pilates gives me the foundation for a high level of fitness that allows me to stay active outdoors and take part in my favorite activities as long as I possibly can." "Pilates is humbling in the beginning. But now I have tools to help myself. I find comfort in the knowledge I have about my body." 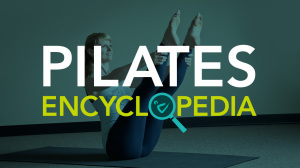 "Pilates is exactly what I needed. Something was missing in my workouts before Pilates." "I had a total knee replacement six years ago and I thought there were activities I would never be able to do again. Thanks to Pilates I am back to hiking 4000-footers, running, and snowshoeing." "I was looking for a low-impact physical activity that I could do to help strengthen a previous knee injury. Since starting Pilates I've noticed improvement in my horseback riding. I also enjoy the peace Pilates brings me during the week. It's a moment I get to have for myself."